Can I work while I file for Social Security benefits? The process of filing for disability benefits can sometimes take up to two years before a claimant receives benefits. This often leaves them without any income for significant periods of time. As a result, one of the most common questions we receive is about whether a claimant can work while their claim for disability benefits is pending. Unfortunately, the answer is not as simple as a yes or no. 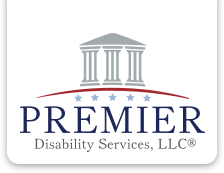 After a claimant files an application for Social Security Disability benefits, the Social Security Administration (SSA) will send them a series of forms to complete and return to their office. One of these forms is called a Work History Report. (Also known as Form SSA-3369) While this form appears to be pretty standard, it can be the difference between winning and losing a claim in some cases. This article will discuss the purpose of the Work History Report and provide some tips on how to complete the form. The event raised more than $200,000.